On Wednesday, a community meeting was held in Savannah, Ga., to hear several Black candidates for mayor talk about their platform for all the people. But there was one peculiar thing about the event — no white reporters were allowed to attend and cover it, Savannah Now reports. 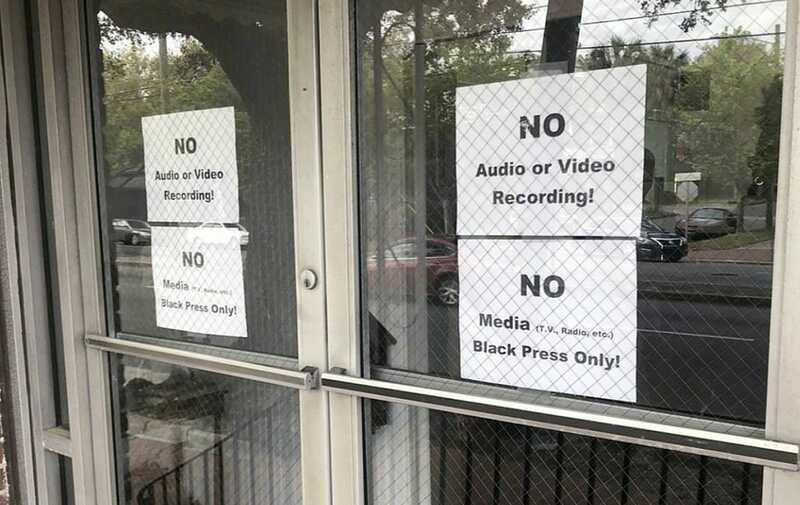 A sign barring white reporters was posted at the Bolton Street Baptist Church where the public meeting was held inside the church where a sign read: “Black press only” on the doors. The meeting was organized by Rev. Clarence Teddy Williams, owner of the consulting firm, The Trigon Group, but would not comment on why he was barring white journalists. The discriminatory sign brought significant attention given that special interest groups and candidates running for public office meet all the time. Savannah Alderman Van Johnson, is one of three candidates running for mayor. He attended the meeting and spoke outside to reporters who couldn’t gain entry. But Johnson sided with the sign’s messaging saying that he believes people should have the right to assemble on their own terms. “If I was invited to a meeting, and I’m sure I will be, if I am, I will go there,” said Johnson. However, Johnson’s opponent, Regina Thomas, told WTOC the meeting was “polarizing, divisive and premature.” She said there is still plenty of time for candidates to qualify since the deadline isn’t until later this year. She opted out of attending the meeting. Louis Wilson, another candidate for mayor who attended gave his speech but didn’t want to comment about the restrictive policy banning whites.